Okay, this is my last time paraphrasing that passage from Nabokov which kicked off this series of blog posts. I could also distinguish the glint of a special puddle (the one Krug had somehow perceived through the layer of his own life), an oblong puddle invariably acquiring the same form after every shower because of the constant spatulate shape of a depression in the ground. Possibly something of the kind may be said to occur in regard to the imprint we leave in the intimate texture of space. Nabokov is writing about a fictional character, but I’ve been arguing that all of us, living and dead, real and fictional, leave these kind of impressions in the world through words, images, deeds, artefacts – the kind of things which it’s a library’s job to help members of the public find and use as they see fit. In my previous post, ‘The Mission of the Librarian’, I used an essay by the philosopher Ortega y Gasset to suggest that librarianship itself was, like the other professions, one of these puddly spaces, slowly etched by our peers and predecessors, which we get to fill with our own daily life and action. Usually I’m more excited by librarians than libraries. Politicians like cutting the ribbons on big new builds of steel and glass, but what interests me is what services you can provide when there’s zero budget, zero resources, the politicians disapprove, and all you really have is your own imagination and initiative. I really like that R. David Lankes sometimes asks if librarianship has a future separate from libraries themselves – and I pushed pretty hard for Auckland’s librarians to go off-site and offer their services in other spaces, like comic book stores and even bars. BUT…I have been thinking about library spaces too, since I last wrote. I’m currently working on a couple of projects that provoked this. 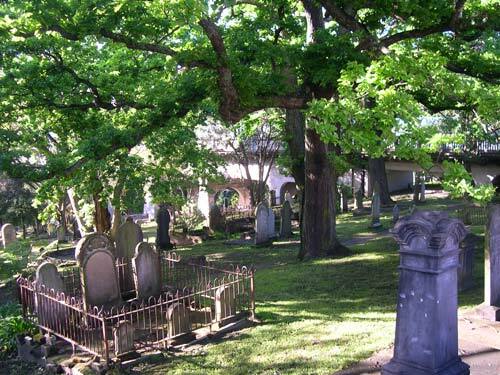 One involves using the knowledge of our Heritage team to run school workshops in Auckland’s historic Symonds Street cemetery, a graveyard in the heart of the city’s CBD. The raw material for the project was pretty dry and it was hard to find a way into it, until I went there to hang out for an afternoon and – clearing aside the empty vodka bottles to make space for myself on a bench – I thought about how weird and wonderful it was that a city council, that most prosaic and bureaucratic of authorities, feels this special obligation, far from supernatural or religious, to Aucklanders who are no longer with us. That’s my way in to writing the ‘Tomb Tours’ project – the bigger question of what it means to respect the dead as fellow human beings – but it also got me intrigued about those niggling little bits of philosophy and soulfulness which linger in the corners of the bureaucratic machine. Behind all the parking regulations and the licensing laws and general administration, there are deeper and lovelier commitments at work in local government. Maintaining a space out of respect for the dead is one. The public library is another – a duty to something as nebulous and hard to quantify as the business of ‘imagination, learning, and connection’. A few weeks back, I was in an Auckland Libraries meeting about long-term planning, sitting around talking through future objectives to slot into whatever administrative matrix the council had devised to permit performance assessment. A few of us were feeling pretty weary and jaded, until Matt Kerr – who now runs Kumeu Library in northern Auckland – spoke up about accessibility principles. These can often be pretty worthy and daggy, but Matt spoke passionately and insightfully about the need for Auckland Libraries’ work to reach out to every single person in the city. create appeal by balancing form with function in all services and programming. Ensuring that neither is more important than the other will help Libraries design an inspiring world-class service that is inclusive for all. “Inspiring”, “balancing form with function”: this is essentially bureaucrat-speak for saying that our programmes, products, and services must be beautiful as well as functional. This excites me in the same way as a council acknowledging the power of imagination, or respecting the dead, does. Public libraries are truly radical institutions, and we forget this because so often they seem staid. I said something once, almost as an aside, which a few people got excited about and turned into a little Internet image. (I’m not being modest, the file size is TINY). I was pretty late to realise this, but I think it’s crucial to our defence of libraries in the 21st century, when numpties spout off in the media about how librarians could be replaced with Google or e-readers. Libraries are spaces where you get to explore knowledge and culture on your own terms. No one is asking you to pass a test, and you come through the doors as a citizen, not a consumer. Communities, wonderfully, heroically, still think it is worth spending their money so that there is one physical space where you can walk through the doors and information professionals will help you find out about whatever it is you want or need to know. Last week I got all existentialist and quoted the philosopher José Ortega y Gasset about how life challenges us to take up a vocation. A stone has to fall when you drop it, but a person does not have to become a librarian or a writer or a construction worker or anything else – at least, not in the same inexorable way. I wanted librarians to think about the fact that their choices in day-to-day life and work will determine the legacy of librarianship for the human race, in the same way that I got all frothy a while back about the need to take personal responsibility and not be someone who is ‘only following orders’. Well, the library is that safe space where you get to explore the ramifications of your actions. That’s one of the reasons we’ve been using immersive play in Auckland. When you’re in the library, deciding how to survive the zombie apocalypse and what sacrifices you’re prepared to make to do so – it’s a playful way of considering choice and consequence. Our zombie computer game spin-off City of Souls literally invites you to choose your own adventure, playing and replaying the story to find the outcome you like best. Life is scary and hard – and so many choices come with serious, even irrevocable consequences. I’m so proud of all the cities, states, and nations, all the communities around the world, who continue to fund progressive public library systems – and create the spaces where we can think ahead, practice, play, and make better choices in all aspects of our lives. Might that be what libraries are really for?